Strong winds, large hail, flooding rains and a tornado or two are all taking aim at the middle of the country. 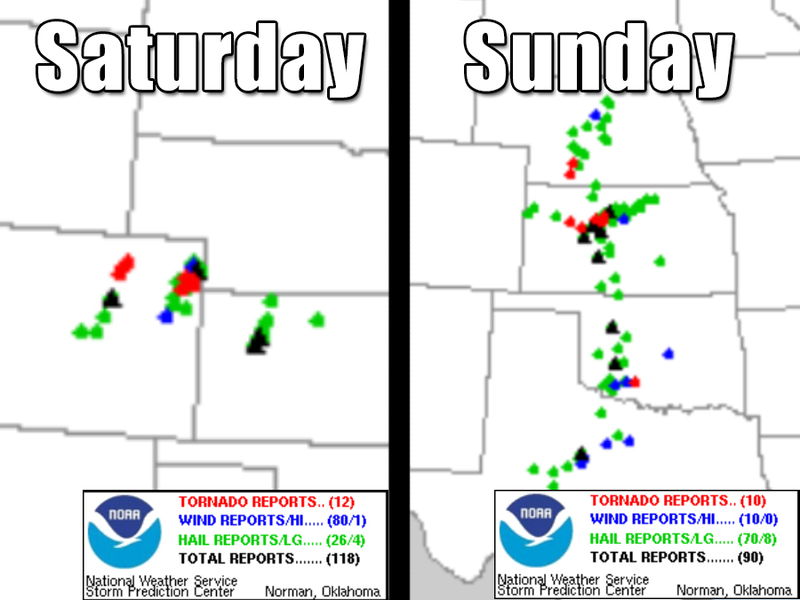 This is the same weather system that brought tornadoes, large hail and wind to Colorado on Saturday and the Plains on Sunday. Now that system will linger in the Plains before moving into the Midwest the next couple of days. The storm system is at its peak strength at the beginning of this week, so the worst weather is most likely to occur on Monday. Strong, damaging winds are most likely across the entire risk area stretching all the way from Nebraska and Iowa down to Texas and Louisiana. 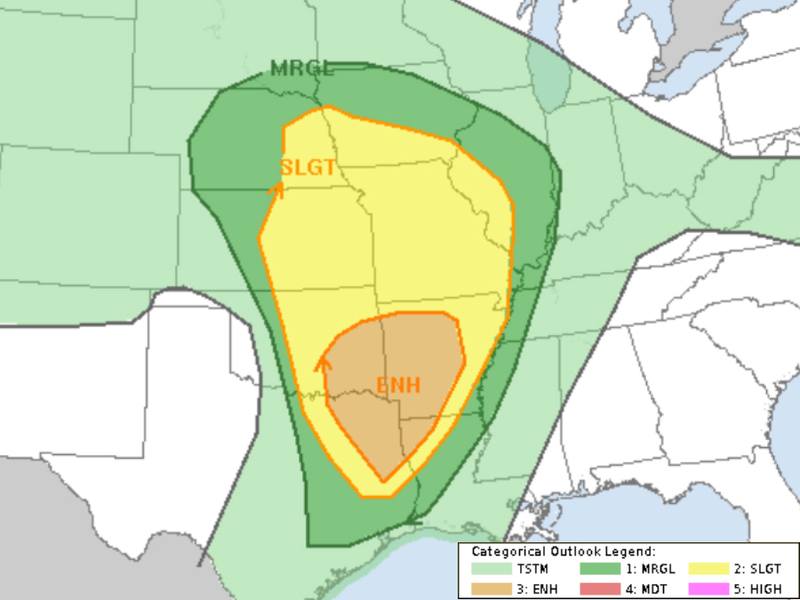 Large hail and an isolated tornado is more likely to occur where Texas, Oklahoma, Arkansas and Louisiana meet. On top of all that, flooding from heavy downpours is possible from Arkansas through Missouri and into western Illinois. The system moves east on Tuesday and more likely to hit parts of Kentucky and Tennessee. 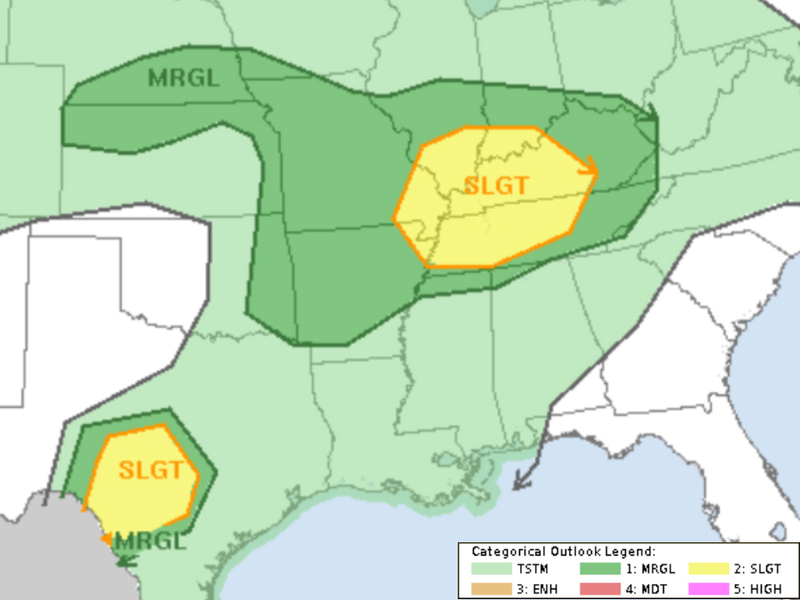 Meanwhile, the beginnings of another system will bring another severe weather risk hotspot in southwest Texas. 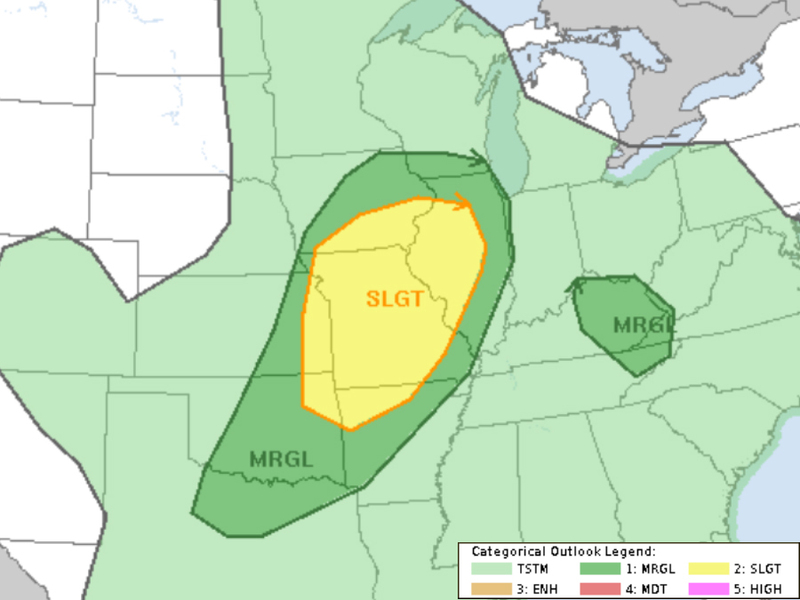 That system will take the same path through the Plains and into the Midwest on Wednesday, which means more severe storms from northern Texas up to northern Illinois. This active weather pattern is expected to break down during the second half of the week, but the violent weather may persist through the end of the week while things are wearing down. During active weather weeks, it's important to know the difference between a watch and a warning.